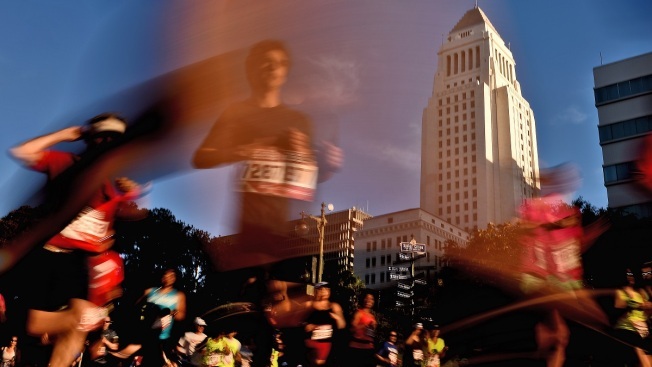 Many streets and intersections will be closed Sunday for the 34rd annual Los Angeles Marathon, with the 26.2-mile "stadium to the sea" route set to go from Dodger Stadium to Santa Monica. -- Hill St. from Fourth to Temple. -- Temple from Alameda to Glendale Blvd. -- San Vicente from Wilshire to Ocean Ave.
-- Ocean Ave. from San Vicente to Pico Blvd.